The central cemetery in Vienna is worth a visit at any time of year. The old Jewish cemetery, its overgrown state controversial, is symbolic and evocative (you may see deer there, or other wildlife). 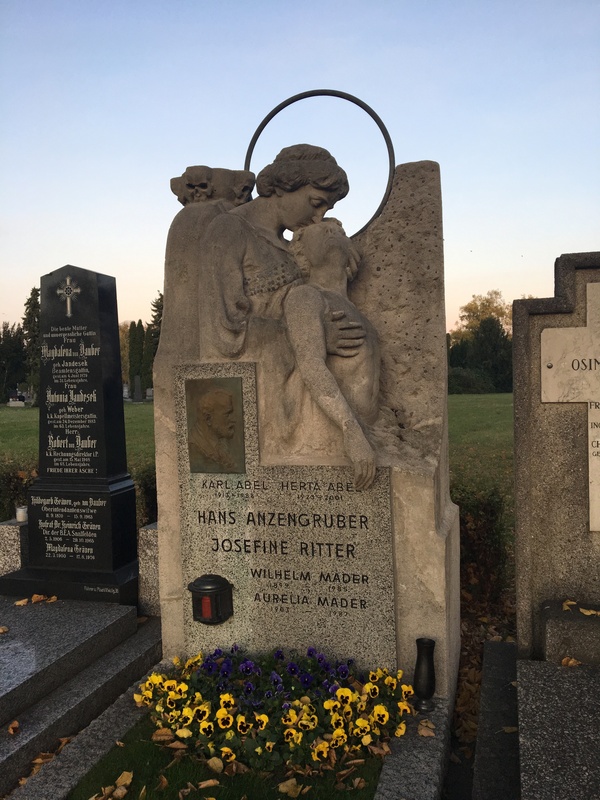 The graves of famous people – Brahms, Beethoven, Strauss, Adolf Loos, Udo Jürgens, Falco and many others – are intriguing. The Jugendstil, or art nouveau, St Charles Borromeo Cemetery church, built in 1908-1910 by Max Hegele, is huge and, in good light, magnificent. Even the Viennese joke that “the Central Cemetery is half the size of Zurich but twice as much fun” (halb so groß wie Zürich – aber doppelt so lustig”) is not bad. The fact that the cemetery’s three million interments outnumber the living inhabitants of the city almost two to one feels somehow significant, although it’s hard to say why. But on 1 November, the cemetery is particularly special. This is All Hallows, or All Saints – Allerheiligen in German. 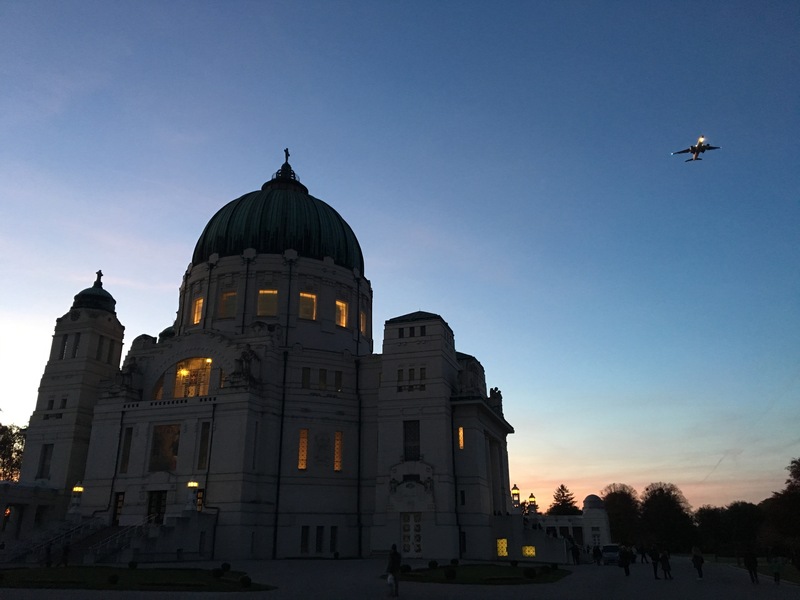 Traditionally, on 1 November in Vienna, people visit the Zentralfriedhof to light a candle in honour of their loved ones. The cemetery stays open an extra hour, until 1800. 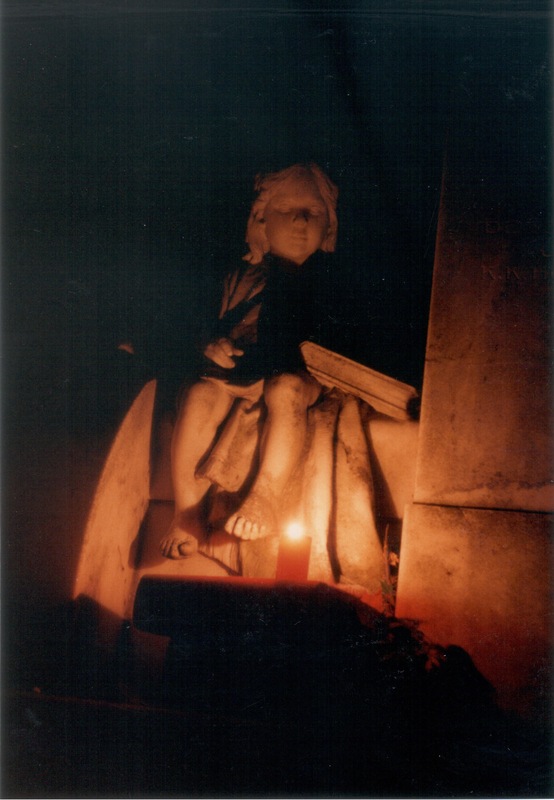 To be in the cemetery at dusk, when the candles glimmer, is a rare experience; I describe it in my piece for the Boston Globe of 3 September 2006. P.S. If you enjoy fresh, original writing, feel free to like or follow me on Facebook or sign up for e-mail updates (top right – see blue “click here” button). You can explore the range of writing on this site via my five pleasure paths. By Robert Pimm in Journalism on 01/11/2018 . 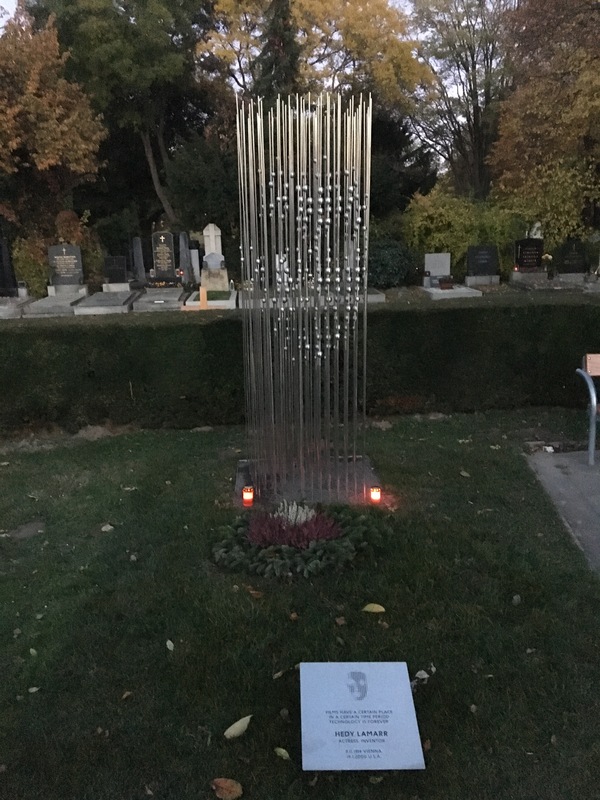 Unser Familiengrab ist am Hietzinger Friedhof, das mein Bruder und ich antizyklisch besuchen, weil uns irgendwie dieses “verordnete” Gedenken unangenehm ist. Den Zentalfriedhof kenne ich nur untertags, weil dort auch Verwandte und Freunde begraben wurde. In der Dunkelheit muss es tatsächlich einmagisches Erlebnis sein.